The ROXOR is a vehicle of self-expression with each ROXOR being an owner’s blank canvas of possibilities. Personalization starts with color. A ROXOR can be customized to fit any style and personality with over 350 paint options. If you want to match the color of your dogs eyes, we can do that. If you want to match the color of your truck, boat, mailbox, favorite lipstick, alma mater mascot, ROXOR can do that. If you want a ROXOR that is all your own, it can happen. Taking ROXOR personalization possibilities a step further is the custom wrap kits and one-off custom graphics wraps. Owners can embrace the military vehicle heritage with a military graphics kit or the “Flying Tiger” graphics kit. 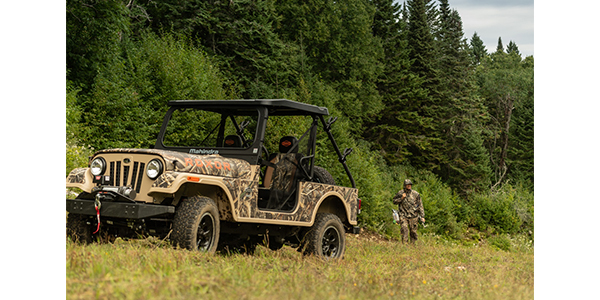 This also includes ROXOR’s own original camo wraps to get ready for hunting season. Whether concealed in a blind at the bank of a river or perched like a hawk at the edge of a cliff, ROXOR will get there unnoticed. For the owners who want to be noticed, they can go down a path all their own by working with their ROXOR dealer and ROXOR graphics team in Auburn Hills, MI. The graphics team will work with the customer to make their dreams come true in creating a ROXOR like no other.